Welcome to August, that drawn out Sunday night before the bustling fall schedules kick in. We here at the Beede Center have just the programs and activities to carry you through to the new season. Our Beede and Books feature, for instance, has become a “must” for little ones and their caregivers. Details are below. 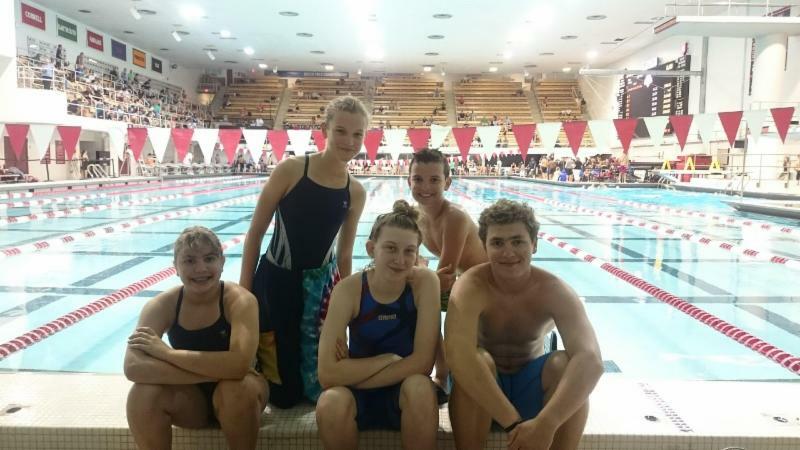 The Otters Swim Team had a fabulous summer season and are gearing up for the school year. The Fall/Winter brochure, packed with activities from Learn-to-Swim classes, Boot Camps, and meditations, is soon off the press. Our facility will be undergoing some changes and freshening up. Again, details follow. August is also the month of Tom Brady’s birthday, and that’s a big deal because he is the quarterback for the Patriots, which, by coincidence, is the nickname used by Concord Carlisle High School athletics. Tom is also a bit of an Emersonian, a practitioner of Transcendental Meditation. And everyone knows that Concord is the hub of Transcendentalism. Coincidences everywhere, (or are they really coincidences???) So let’s kick off the Beede Center’s August newsletter tossing in some inspiring quotes from Touchdown Tommy. The Massachusetts Amateur Sports Foundation is a non-profit organization with the primary function of organizing the Bay State Summer Games for various sports. The Summer Games for swimming begins with statewide tryouts in June and concludes with all qualifiers competing at Harvard University Blodgett Pool. This year our Otters swim team coached by Maureen Cownie, had 10 swimmers qualify to swim at Harvard, Phillip Bogaevsky, Anna Bogaevsky, Bella Cownie, Richard Li, Charlie Clark, Katherine Lerner-Teves, Arden Trudeau, Sean Trudeau, and Catherine Wang. Each of our swimmers did well in their events, but a big shout out goes to Phillip Bogaevsky for his second place finish in the 16-18 boys 100m Backstroke and his third place finish in the 16-18 boys 200m Backstroke. Phillip had a beautiful swim for each event and his coach and teammates couldn't be prouder. Way to go Phil!! "When you're one of the leaders of the team, there are no days off." Here is just a sampling of what we are working on. Strength Room Floor - The existing floor replaced with a recycled rubber floor to improve functionality. Strength Room Expansion – The office accessed from the strength room is being relocated, opening up that space for members’ use. Multipurpose Room – The three offices on the lower level at the bottom of the stairs are being removed. Work will have begun on a new multipurpose room that will feature a water view and a water view. This space will be used for stretching and group exercise, to name just a few activities. The finishing touches will be complete in September. Dive Well Pump and Motor will be replaced as a proactive measure. The staff thanks you in advance for understanding our need to close the building for a string of days so we can keep the Beede Center running smoothly. August is the best time to sort out the fall schedule, and our new brochure will be hot off the press by the middle of the month. 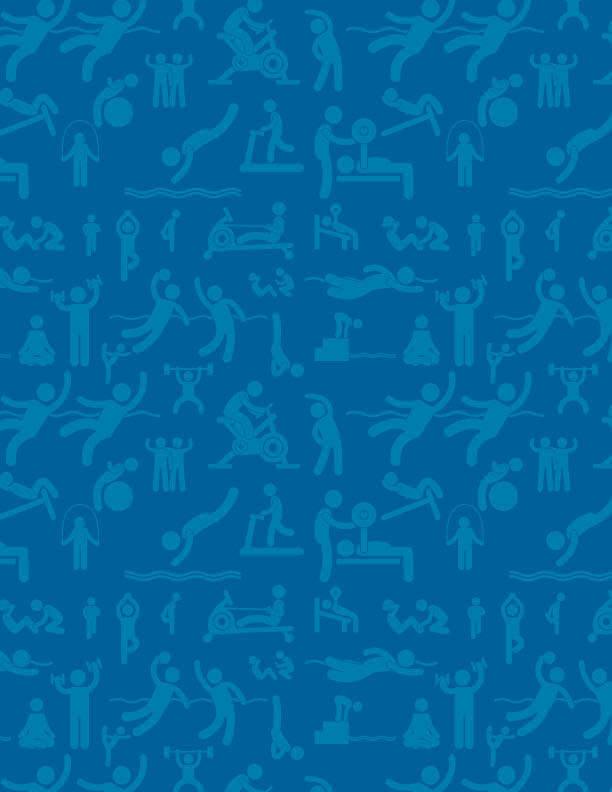 Once again, we will be offering a full slate of swim and fitness classes for all ages and abilities. Something for everyone! SUNDAY, SEPT. 9 – Deadline to enroll. The person signing up for the program MUST be a member or current participant to be eligible for the Aug. 27 signup. Being related to one does not count. If you are interested in a program, sign up, don’t wait. Everyone benefits. We have too often had to cancel programs due to lack of enrollment, only to learn that many of you were planning to enroll on the first day of class. If you enroll and the class is not held because not enough other people did, we will work with you to find a comparable class or fully refund your money. We accept MC, VISA, personal checks made out to the Town of Concord, and of course cash. Registration opens at 5 a.m., for the M,W,F Master Swim program. 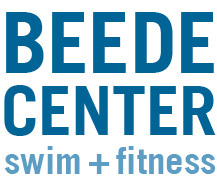 The Beede Center thanks you for your continued support and allowing us to serve you and your family. That’s Tom Brady in an interview with WEEI on a book that helped him and Gisele weather the Deflate Gate storm. That book is “The 4 Agreements” by Don Miguel Ruiz. 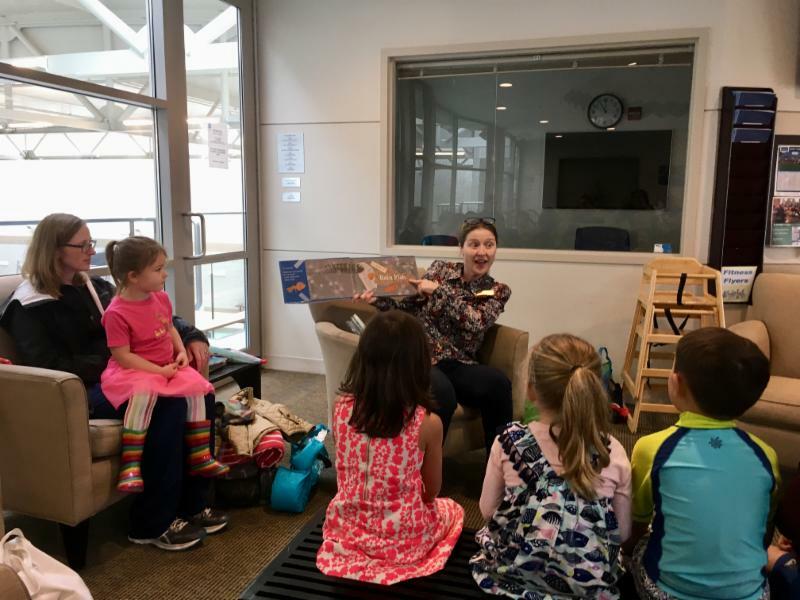 It may not be one of Librarian Fiona Stevenson’s selections for the ever-popular Beede and Books program, but the message here is the value of a good book. Fiona is guaranteed, once again, to share several good books brimming with value in our next Beede and Books segment. The date and time are Aug. 6 at 11 a.m. Accompany your preschooler to our lobby where Fiona will read aloud her favorites. It is a pleasure to see the little ones gather and interact with Fiona and each other. After a half hour of kiddie literature, children and their caregivers head to the kiddy pool for another half hour of fun. There is no charge and all are welcome. ALL children must be accompanied by a responsible adult. Bring your own towels and swim diapers if you need them. We sell swim diapers for $1.50 each. Beede & Books is becoming very popular and we have capacity limits on the pool. If necessary, we divide into two groups with one swimming first then reading. We will swap at half time. No one says it like the GOAT. This gem is easily applied to two of the many winners who use the Beede Center pool to train for important competitions. Santiago Tapia-Perez, 78, of Boxborough and Phillip Bogaevsky, 16, of Acton, both train at the Beede Center. Santiago has been wrapping up podium appearances at Masters Competitions around the state and nation. Phillip swims for Acton-Boxborough and just earned two medals at the Bay State Games. Both train with Coach Maureen Cownie. Besides his physique, Santiago noticed that some of his swim techniques may also benefit from some fine tuning. 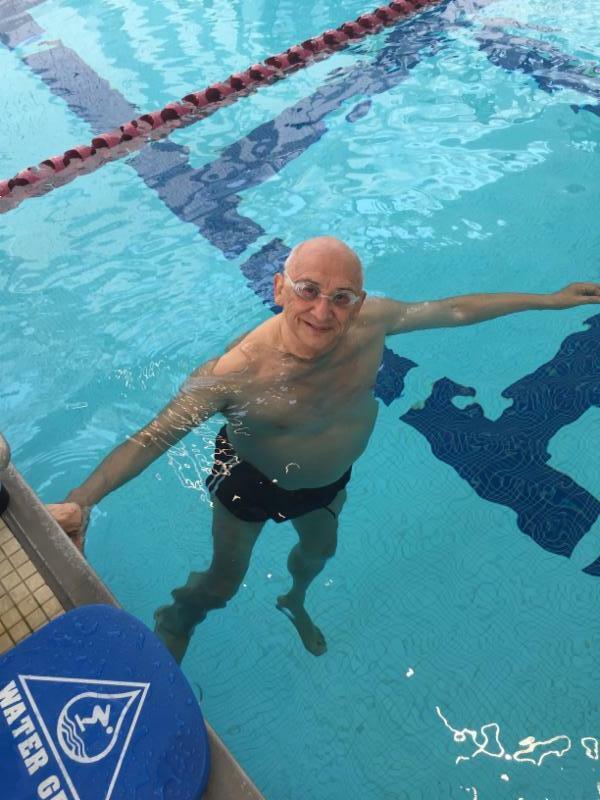 He joined the Beede Center soon after it opened and swim instructors to work with him. “They give you important details,” he said. Santiago has worked out for years now with Maureen Cownie’s Intro to Coached Workout. Popular with adults who want to maintain their competitive edge or just want to stay in shape, Maureen’s program runs every Monday and Wednesday from noon to 1:15. “Most of what I know about swimming comes from Maureen,” Santiago said. He also credits Beede Coaches Jenny Wolf and Mike Adams with helping him get back in the game to the point that he now competes locally and nationally in the following competitions: the 400- and 800-meter Freestyle races and the 50- and 100-meter Butterfly races. 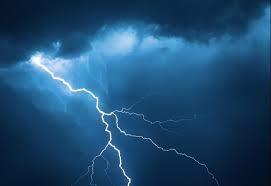 We are required to close all the pools for one half hour after either a sighting of lightning or clash of thunder. We don’t enjoy having to do this, any more than you enjoy having to abbreviate your workout. We will do our best about posting signs on the door when the pools are closed and the expected time of reopening. Thank you again for your cooperation. This sums up things until we meet next in the September newsletter. Feel free to suggest a member, employee or program to be highlighted. We are happy to work with you.